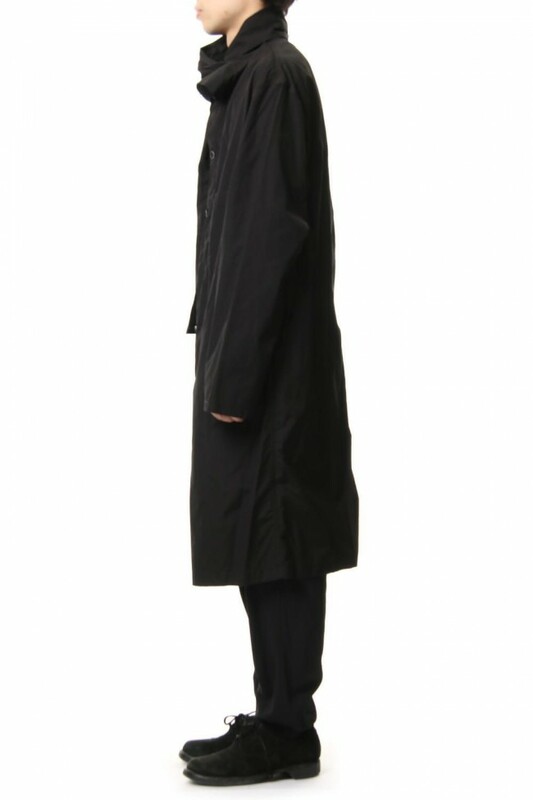 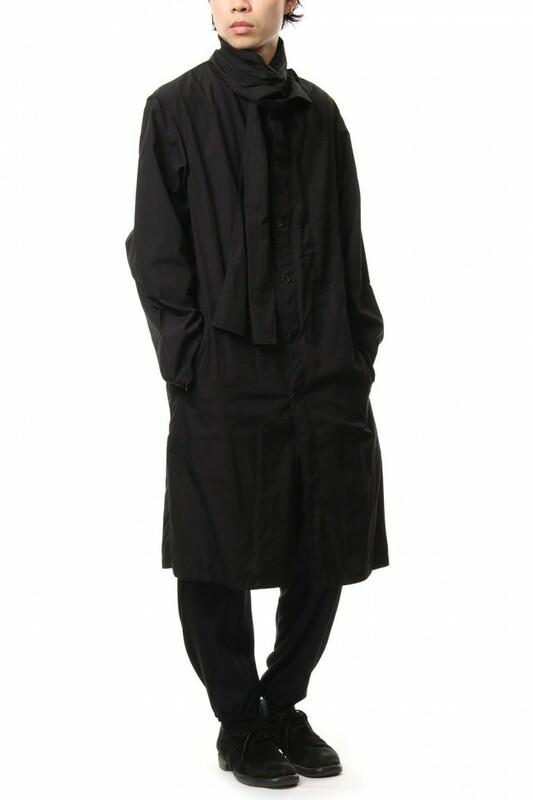 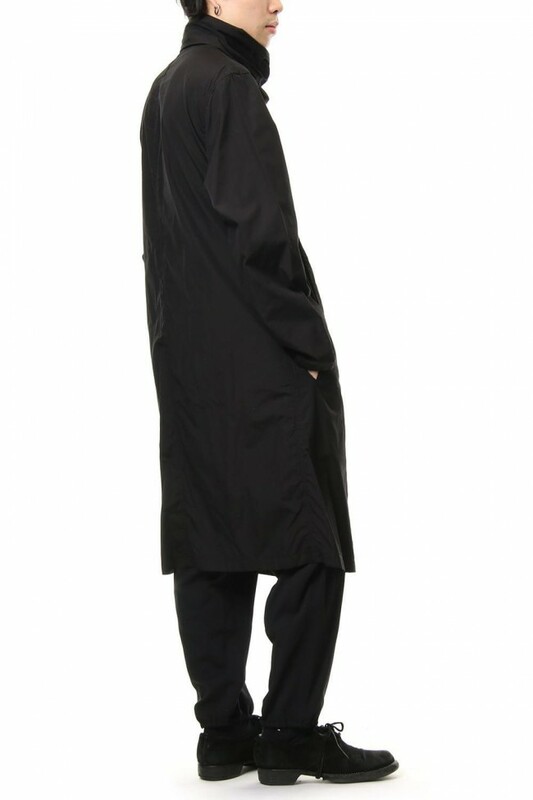 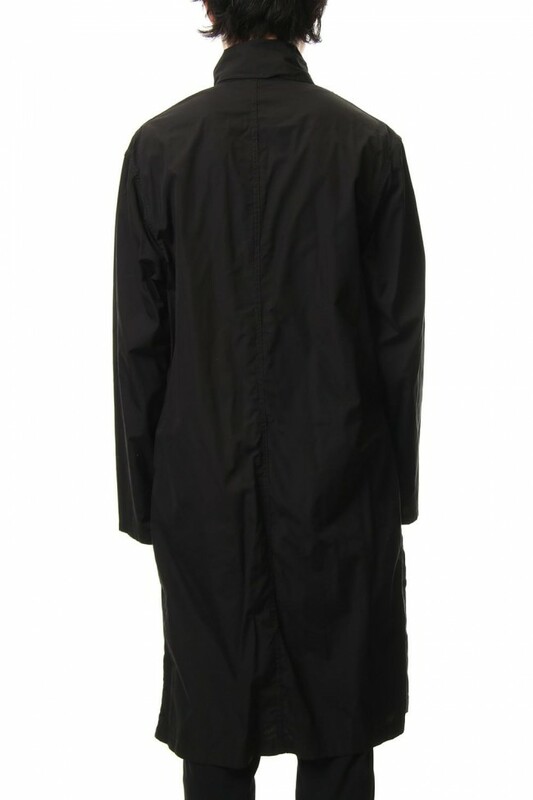 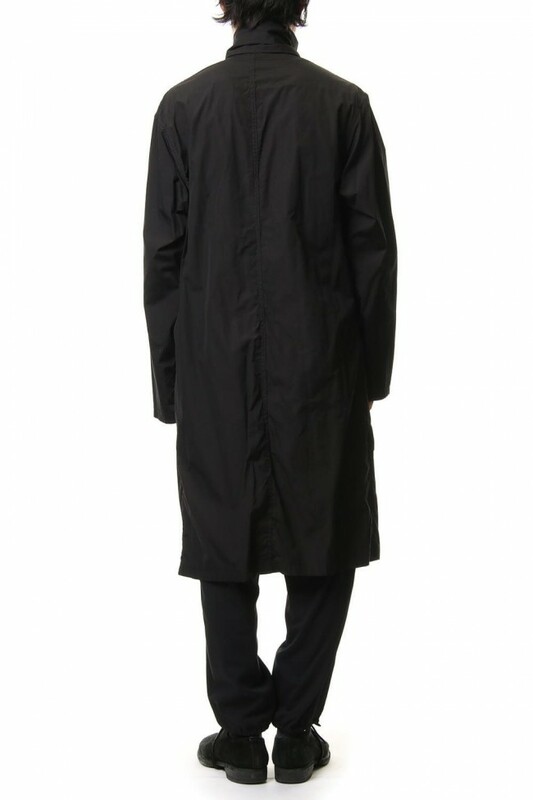 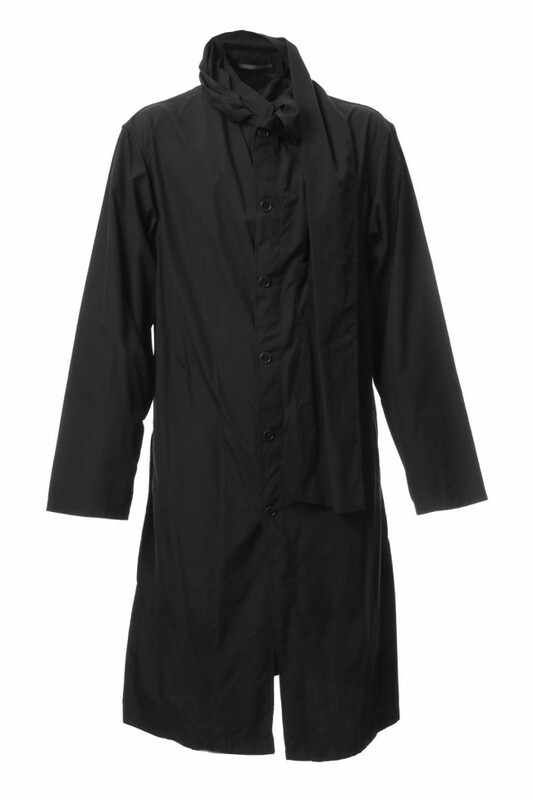 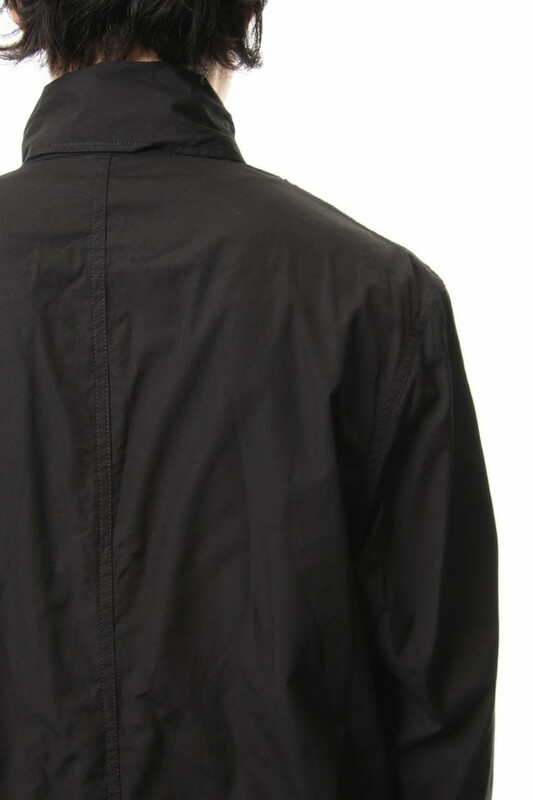 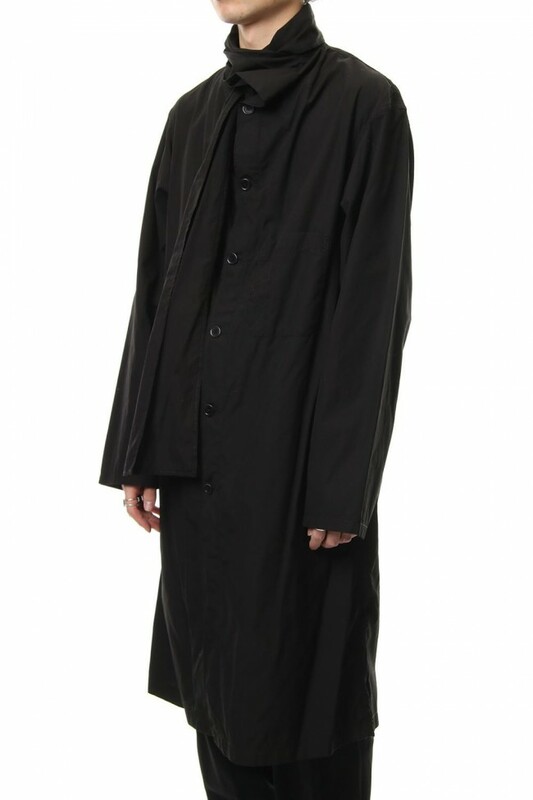 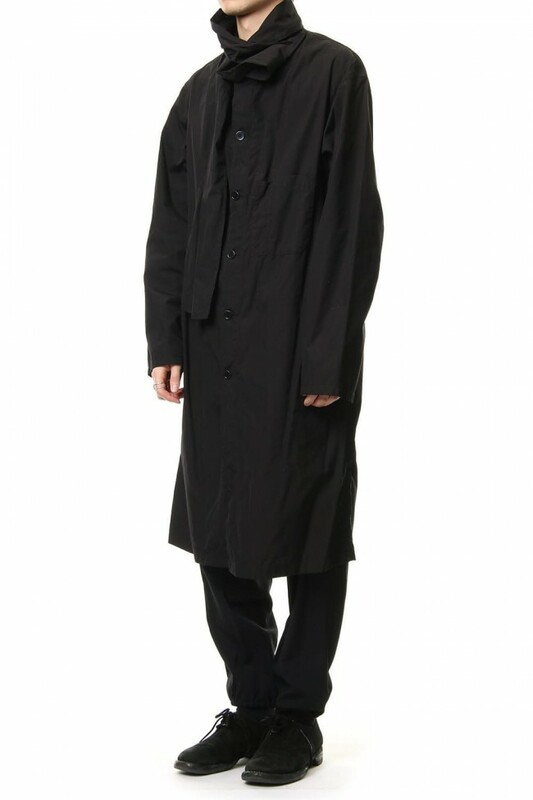 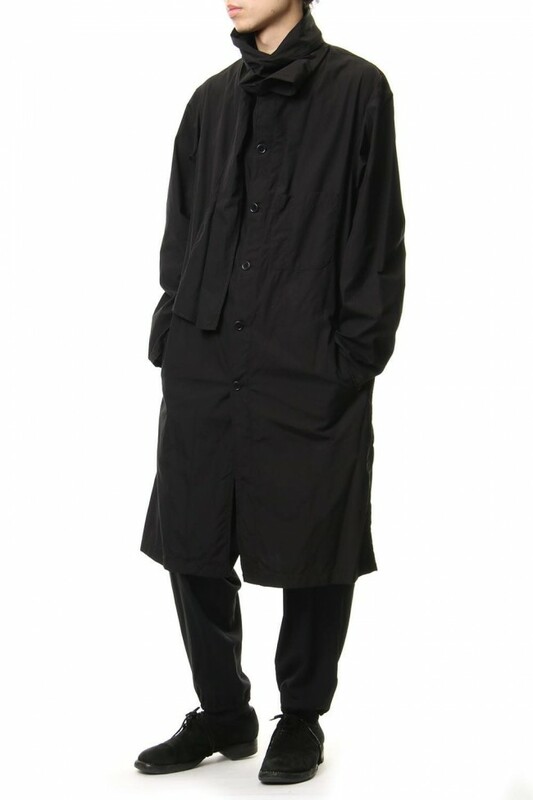 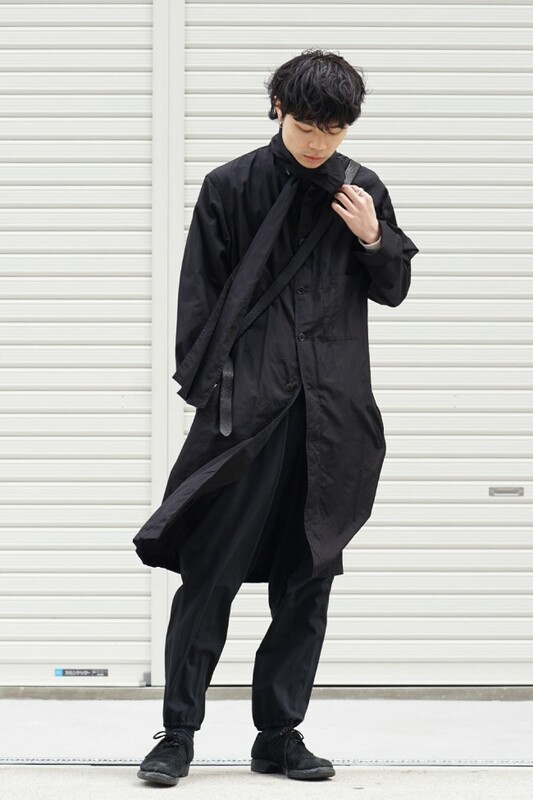 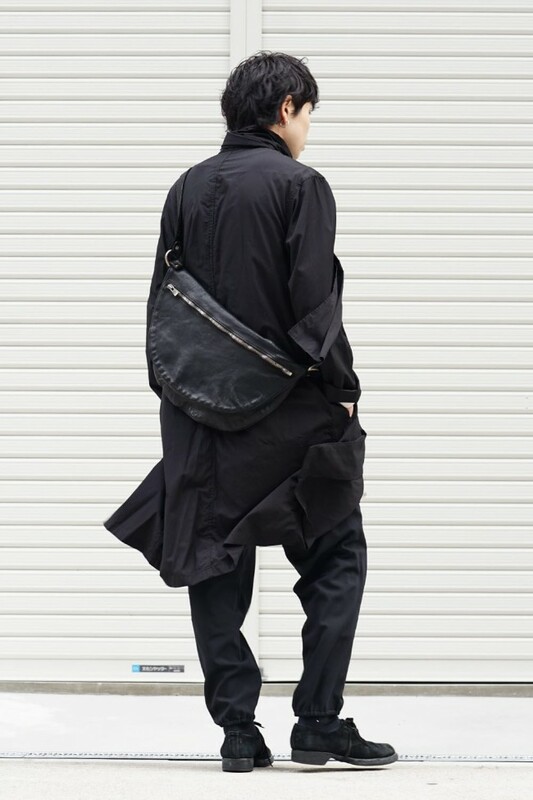 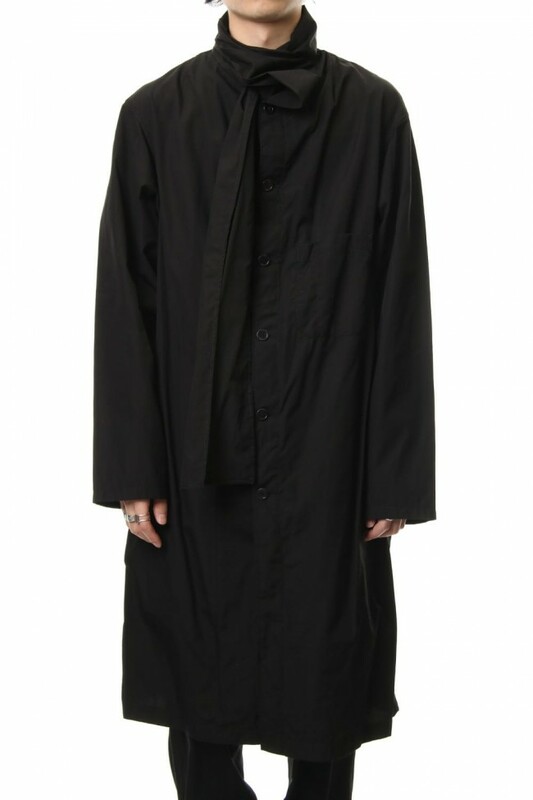 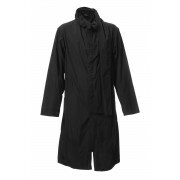 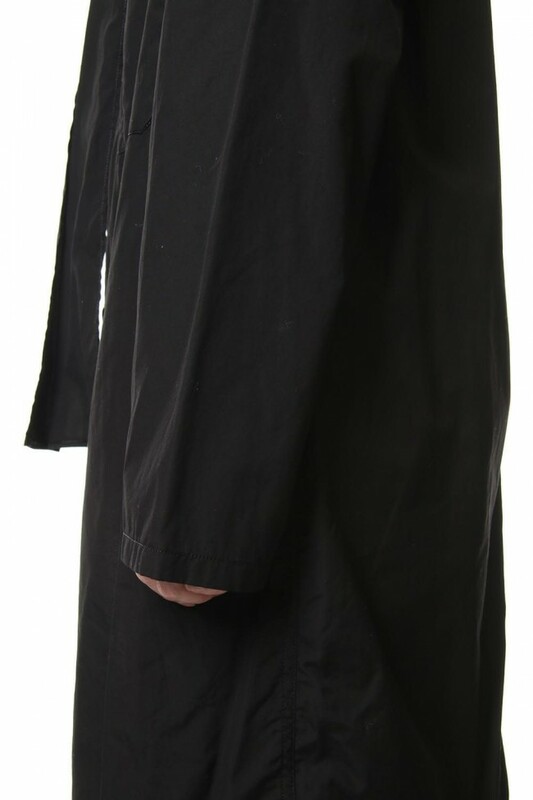 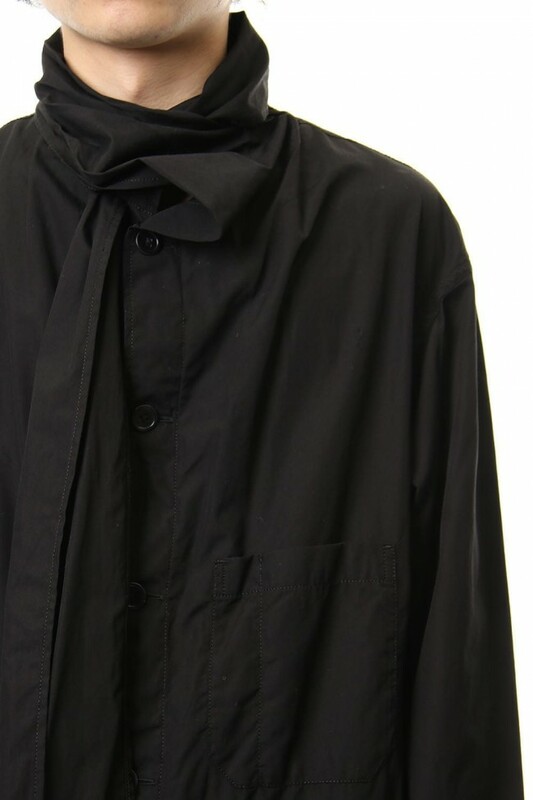 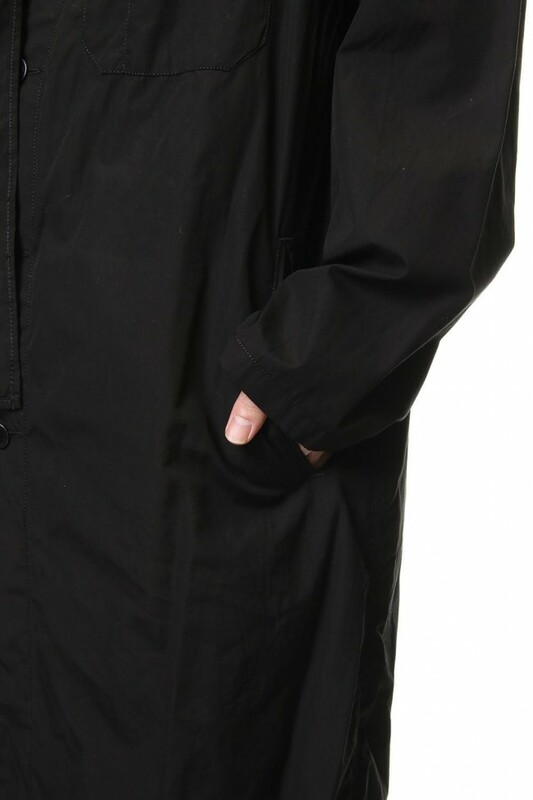 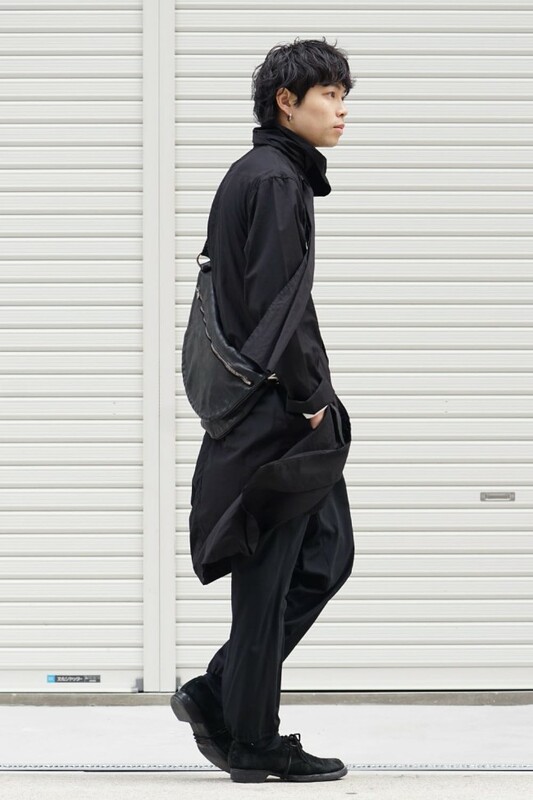 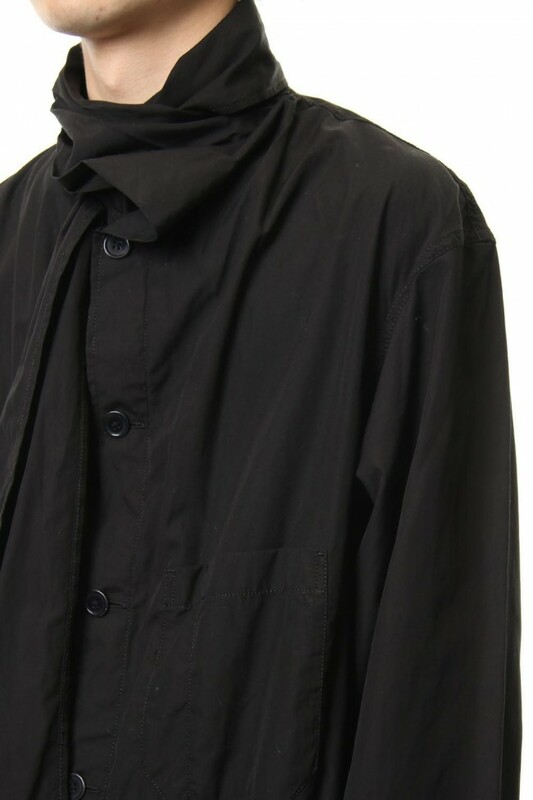 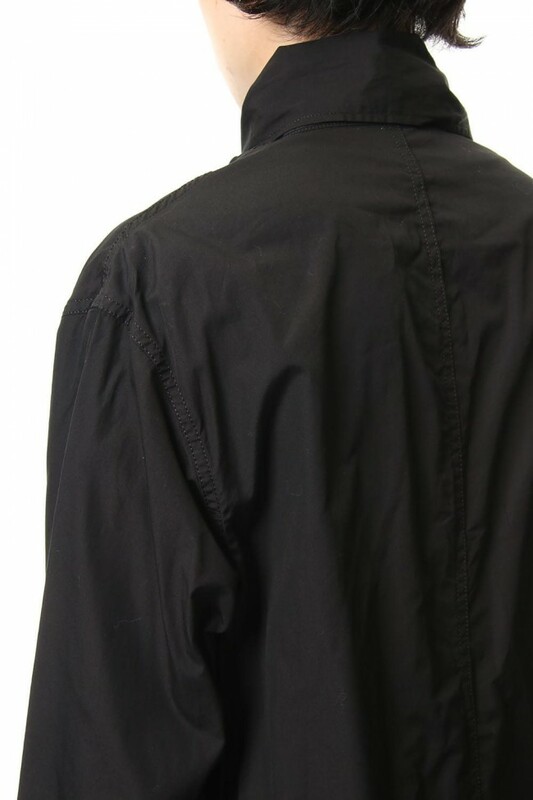 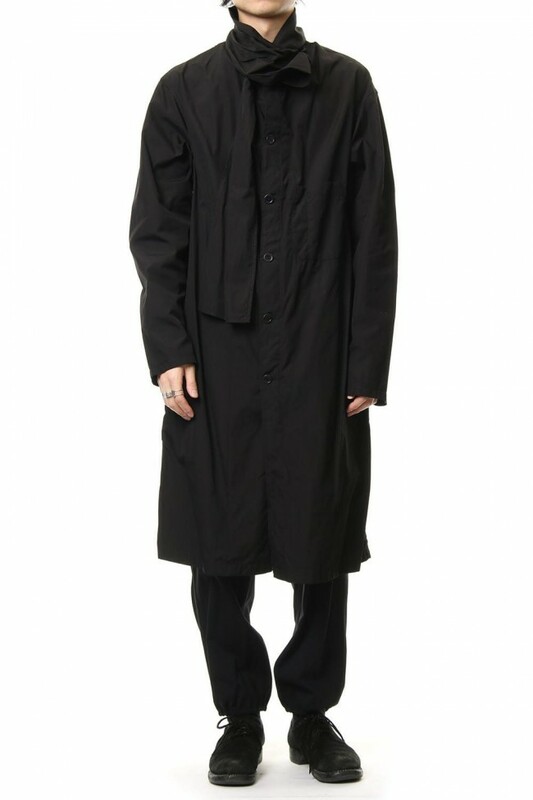 Long shirt coat featuring a design with the left collar part extended like a scarf. 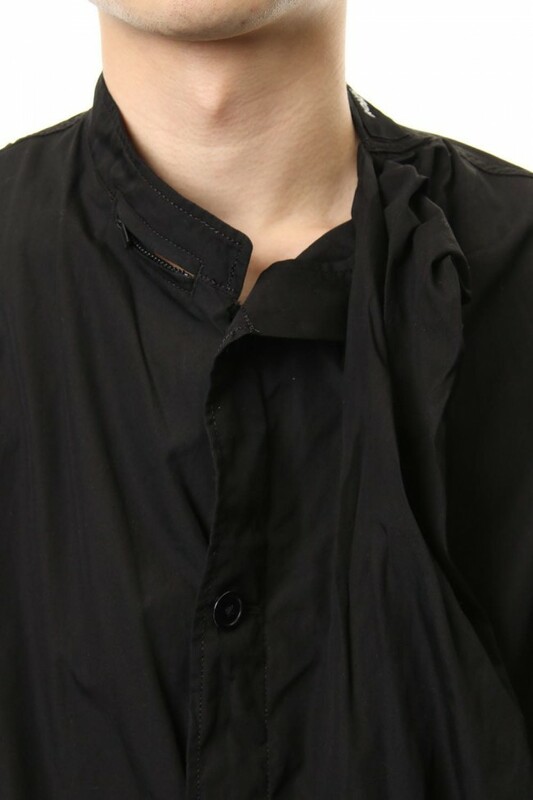 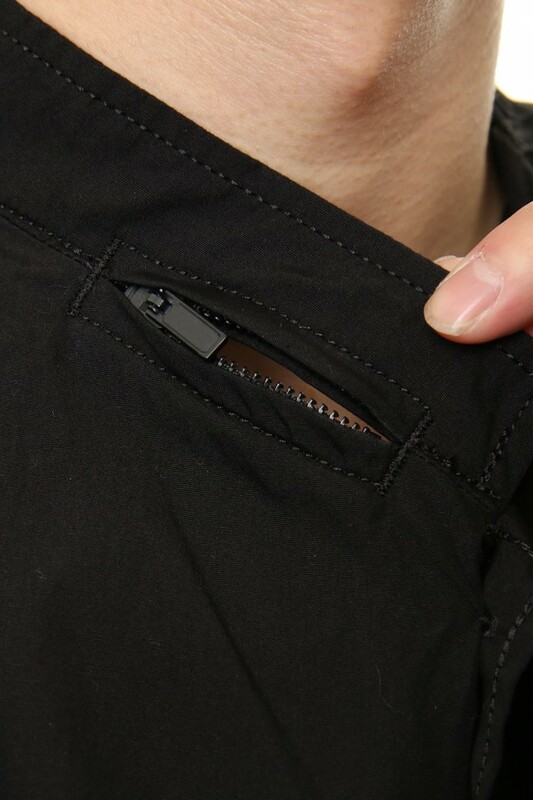 There is a hole on the left collar that can open and close with a zip so that you can pass through the scarf parts. 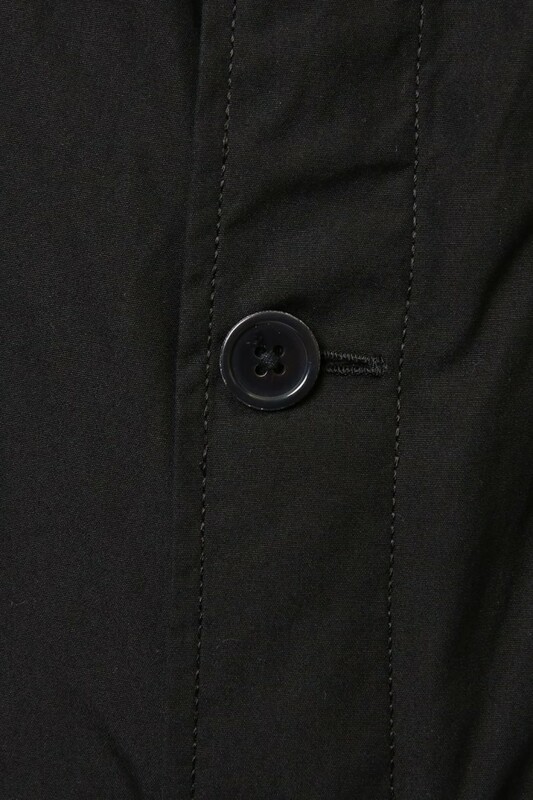 As the fabric is familiar cotton broad, it is an item you can enjoy with a wide range of styles and regardless of seasons as you can wear it as an inner for winter or a light outer for the spring.